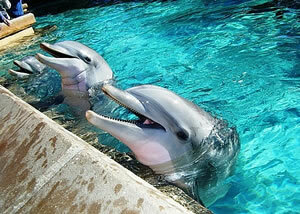 Nanny Poppinz of Orlando serving Greater Orlando, Disney, Universal Studios and Sea World is Open 24/7. Nanny Poppinz is very excited to offer our unique Nanny childcare services in Orlando, Florida. Many families settling in Orlando are moving from across the country leaving them with the NEED for reliable child care and emergency back up care 24/7. "It is difficult to understand that the Nanny industry in Orlando is not licensed and monitored. It makes it even more important that Nanny Poppinz set standards and procedures for your Nanny services to protect your Orlando family!" "We understand that selecting a Nanny is one of the hardest decisions parents make and We are committed to making your childcare decisions an easy process"
"We have very high standards for our children and promise that we will only refer a Nanny to families that we would employ in our own homes. When the right Nanny match is made, it really is a "match made in heaven"
Nanny Poppinz believes that a Professional Nanny is the cornerstone of any family, providing a caring, safe, loving environment for the child to learn and grow! Our professional staff is very pleased to be able to offer extensive Orlando experience, professionalism and dedication of over 27 years that Nanny Poppinz has delivered to families in Florida. Nanny Poppinz has proudly served over 43,000 families since 1992 and Nanny Poppinz is proud to be the largest and most established Nanny Agency in Florida. Being part of this large pool of Nanny experience brings much needed strength, integrity and child care energy to the Orlando Area. We have the largest and most professional pool of Nannies anywhere in the country! Nanny Poppinz also provides corporate child care and currently provides stadium Nanny care for the Miami Marlins, Miami Dolphins, and Florida Panthers. We believe that the main reason to use Nanny Poppinz is to save you time , and to take out the frustration of finding the correct Nanny for your individual needs. From our extensive "state of the art" screening process to organizing the interviews; we do the work for you! Our flat rate fees are straight forward and highly competitive! Please take a moment to review our testimonial page so that you can see what our clients say about our Orlando services! In addition; with Nanny Poppinz of Orlando we go one step further. You don't get just get ONE NANNY, but access to ALL of our Nannies. So if your full time or part time Nanny is sick, unable to travel for example or you simply need child care on the weekend, we will supply a temporary Nanny and charge no agency fee! You don't need an "important" reason to request free backup. We are proud that we can provide 24 hour backup services to our clients for any reason - at any time! Orlando Emergency back up care is also free to a full or part time Nanny Poppinz Family! And because we recognize that family emergencies rarely happen during working hours we have a dedicated call center open 24 hours a day 7 days a week, including Holidays, ensuring that we cover Nanny Poppinz Orlando family needs comprehensively any time of the day or night. Should you need a Nanny, or need to arrange a Nanny after 6 pm weekdays or at the weekend please call us at 407-965-5024 extension 3 and you will be put through to our Orlando call center . Our staff are available 24/7 to serve you and your family, so please do not hesitate to use this valuable service! "We look forward to welcoming you into the Nanny Poppinz Orlando Family and are confident that we can not just meet your Nanny childcare needs but exceed your expectations too! 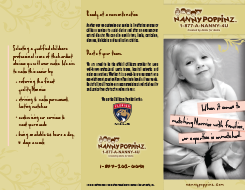 Nanny Poppinz offers referral fee discounts to Military and Law Enforcement families." CPR , First Aid and AED training will be provided by All Care Health Service located at 4763 S. Conway Rd, Orlando, Florida 32812. For a reservation you can call 407-432 4756. You can also visit and sign up for classes on their website at www.allcarecpr.com . . Please identify yourself as a Nanny Poppinz Nanny (You will receive a discount - if you sign up online please make sure when you take the course that you identify yourself as a Nanny Poppinz Nanny) and when you are referred as a full or part time Nanny send your course receipt to Nanny Poppinz and you will be reimbursed the cost of the CPR class. For a Nanny Poppinz Nanny interview contact Dasly at 954-899-3828.